Santiago Solari - The Next Zinedine Zidane? Santiago Solari – The Next Zinedine Zidane? Real Madrid have confirmed that their interim coach Santiago Solari will now serve as their permanent manager, having secured a contract until 2021. This is a move that will baffle many, given the sheer amount of high-profile names that were in contention for the top job at the Bernabeu. However, supporters shouldn’t be too worried, given that precedent is on their side. 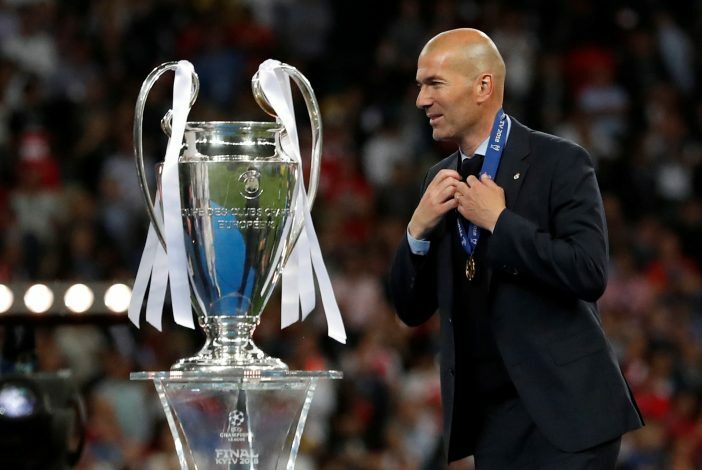 Last time Madrid upgraded a Castilla manager to the task of head coach, Zinedine Zidane gifted the side with what was arguably their finest spell in Europe. The parallels between the Argentine and the Frenchman will certainly inspire great hope. However, for Solari to replicate the success of his predecessor and former teammate, much will have to be done. For starters, it’s clear that the higher-ups at the club will expect nothing but top-notch showings from Solari. They made this quite clear when they sacked Lopetegui this early on; citing that they wanted to make a big change when there was still ample time to reach their season’s objectives. These would be, at a bare minimum, to retain their Champions League title yet again, and field a respectable challenge for the top spot in La Liga. A seemingly tall order for a manager without any prior experience in league football. The sample space of prior matches of the young coach is a statistic of some worry, as it is too small to make large conclusions, and often draws out opposite conclusions. As manager of the Castilla, his run wasn’t exactly the best, with only 32 wins and 29 draws being garnered from 86 matches, while his brief U19s spell was more impressive with no losses. In contrast, his run as interim-manager has been perfect, arguably the finest that Los Blancos have put up all season, with 15 goals being scored in 4 games, all resulting in resounding victories. This rejuvenated run has also brought the Galacticos to within striking distance of their rivals Barcelona, with just 4 points separating them in the table. However, the side is still poised in the 6th spot, and Barca’s recent home defeat places them in the least benefit of gaining points given the teams ahead of them. At a bare minimum, Solari must continue doing what he has been in the last two weeks, with the shift from Lopetegui’s more passive tactics to an attacking edge becoming more apparent in the goals they’ve scored. Further, the Argentine’s Madrid has shown a knack to be a more defensively secure side, with only 4 goals being conceded under his spell, while the former’s Madrid conceded 5 in just one disastrous outing at the Camp Nou. Tactically, Solari may be a sound choice. In an interview he gave to El Gráfico, he states: “First you have to see what skills and what characteristics the players have – who are and will always be the owners of football and afterwards know how I want to play, the style. As of such, one may have to wait for a few more games in order to ascertain the typical Solari style, if such a set of tactics even exists. Given his philosophy at the Castilla and during their Champions League and Copa Del Rey fixtures, his Madrid will be a team that will seek to constantly adapt rather than be a side that is stringent to any one style or technique. This may be a tough beast for the gaffer to tame, given the sheer versatility that is at his disposal. It already appears that he is not happy with Isco’s recovery and resultant form, an interesting point given how the Spaniard was supposed to be a key part of the squad in the post-Ronaldo era. Further, his experimentation with Vazquez and Asensio may be quite telling as well. It is clear that Benzema is the focal-point of Madrid’s attack in this era, given the number of goals the Frenchman has already found, but Solari may just rely on Gareth Bale as well. The Welshman was long touted to be the direct benefactor of a Ronaldo-less Real, but under the former Spanish coach, it wasn’t quite evident in the Welshman’s performance. Moreover, Solari may just be a solution to the quickly creeping age problem that Madrid may find themselves in. Several of their top stars are within in the 27+ age bracket, and the gaffer’s Castilla tenures may just ease in more homegrown talents into the squad as well. All in all, a key factor in the Argentine replicating anywhere near the success that Zidane tasted will be the kind of support the board puts into his team building. Madrid were uncharacteristically quiet in the summer window despite losing both Zidane and Ronaldo. This has to change, and the winter window may just see the arrival of some attack-minded pivots to guide their offense as well as some young defensive reinforcements. 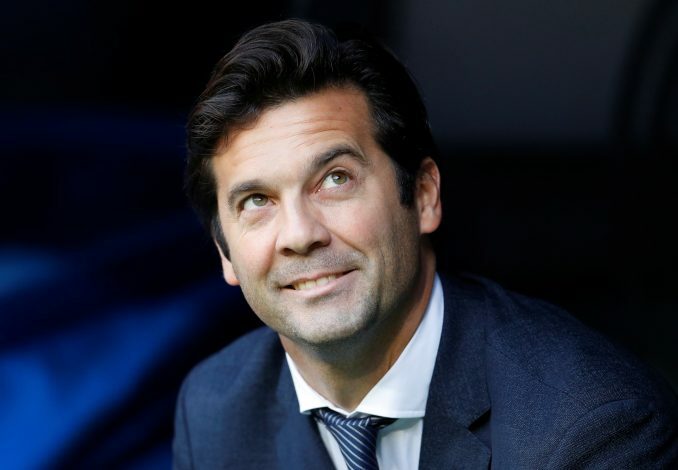 Further, if Solari does his job just right, then he may be in a prime spot to coach the next batch of big-money signings that the Spanish giants are bound to purchase, with the likes of Neymar reportedly in the bag for quite a while in Florentino Pérez’s plans.